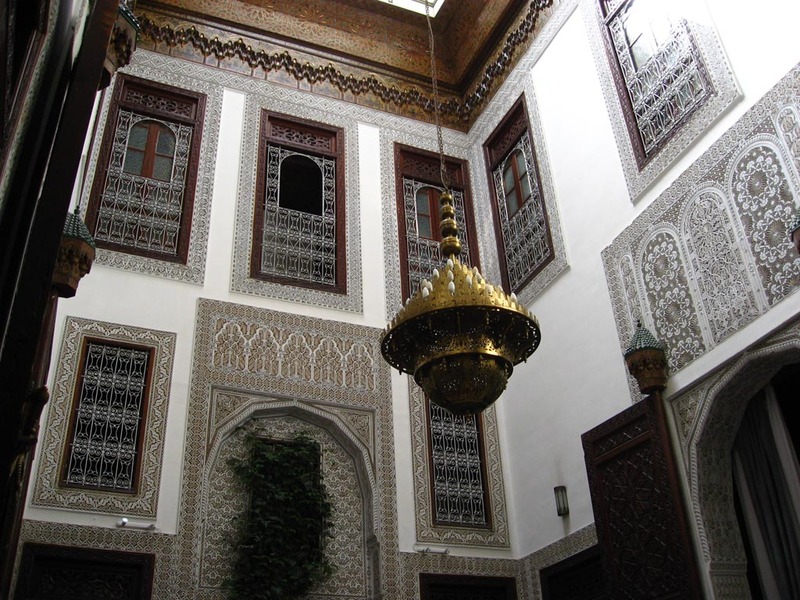 It overlooks the courtyard and has three cedarwood-framed windows with carved plaster surround. 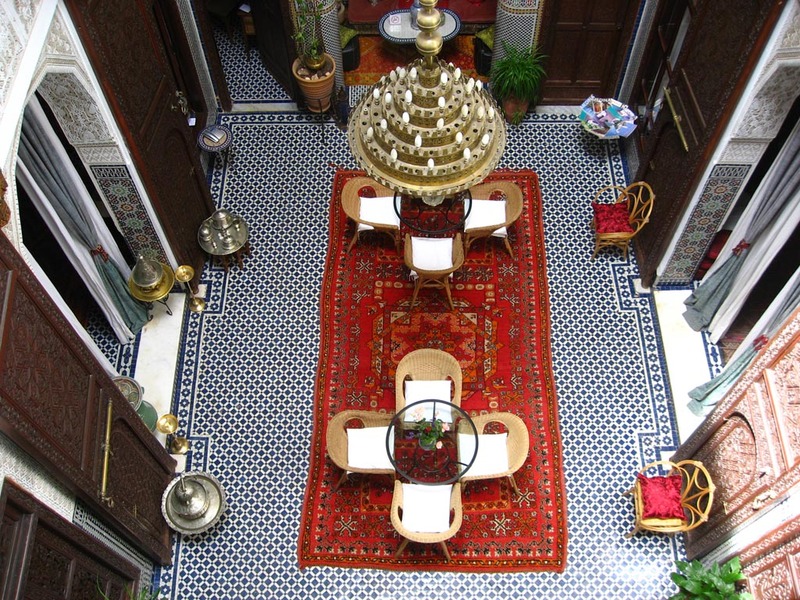 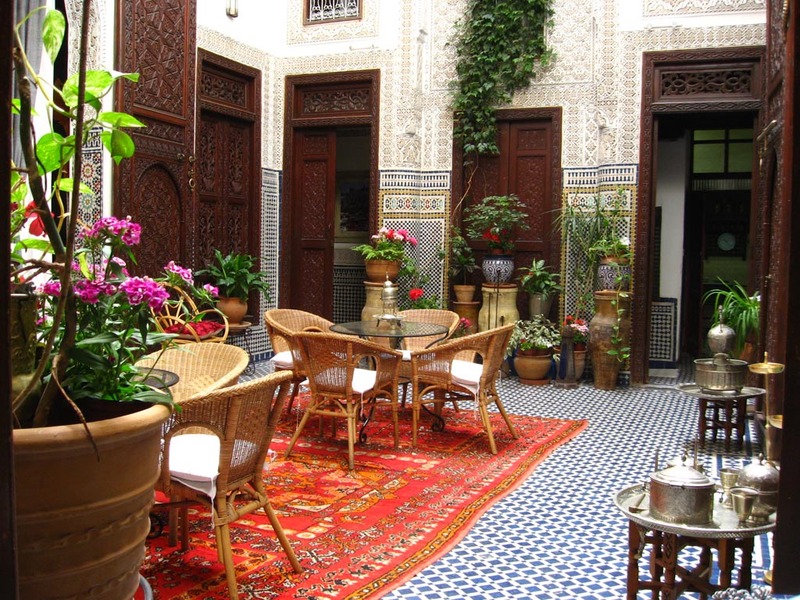 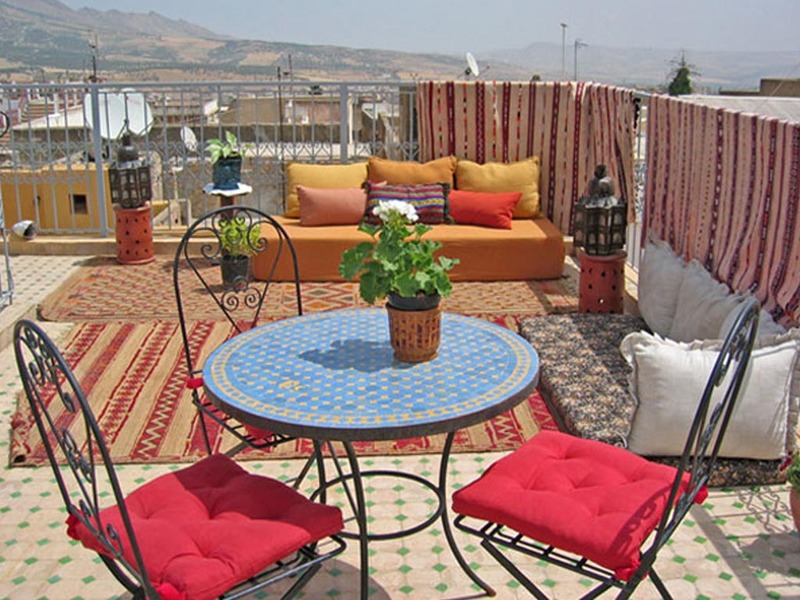 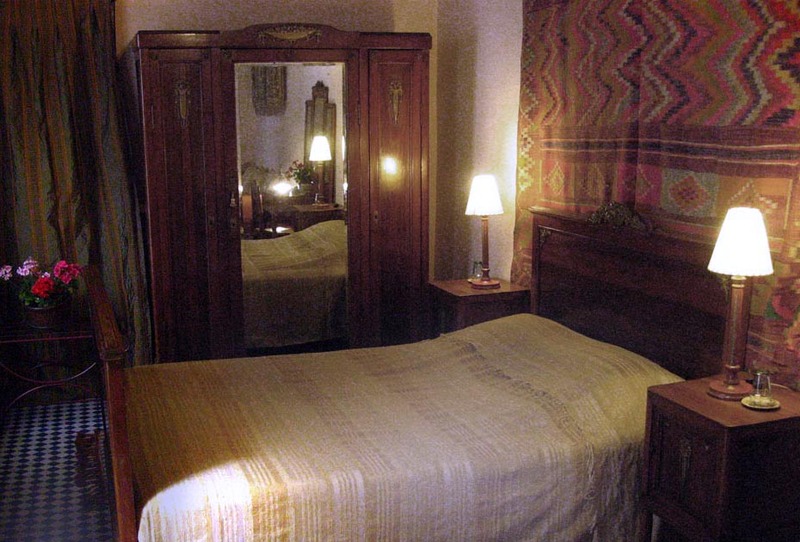 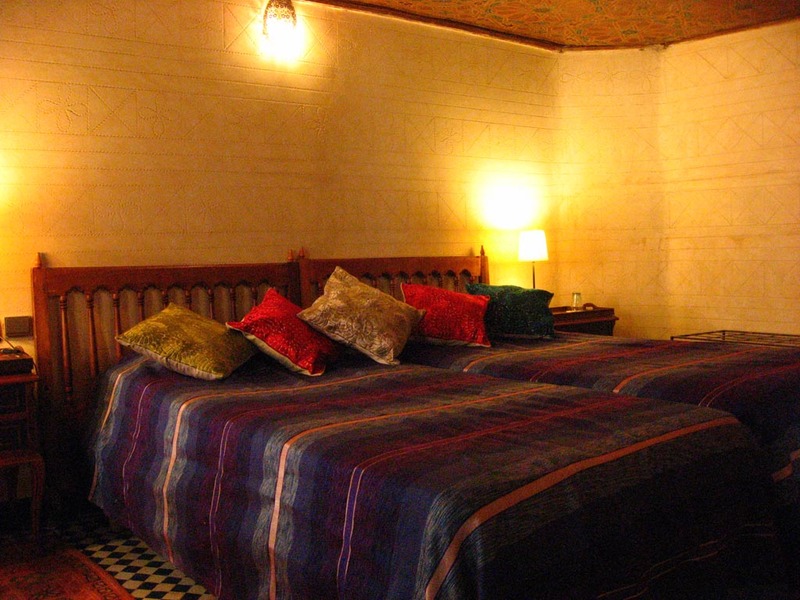 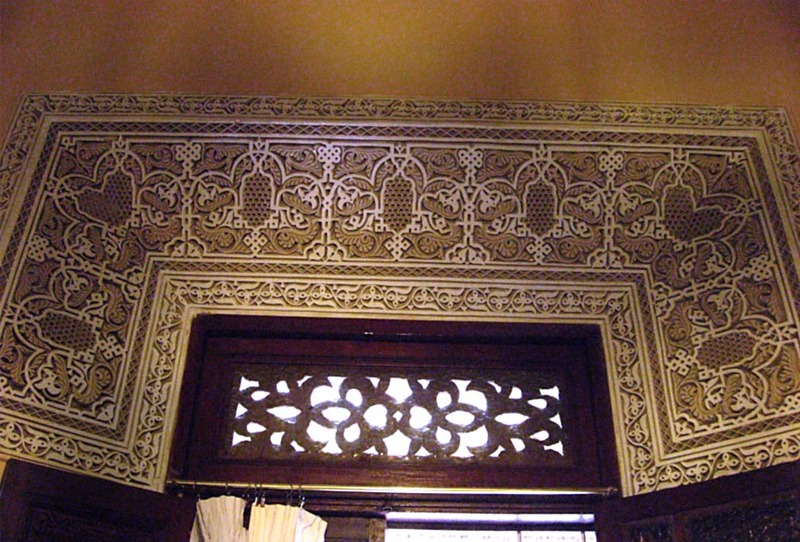 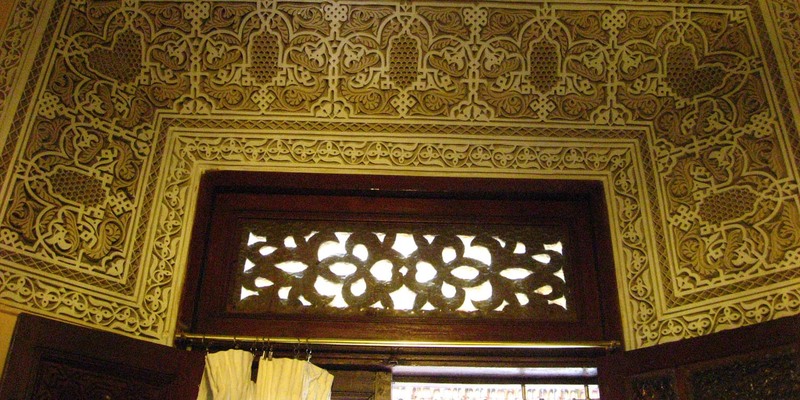 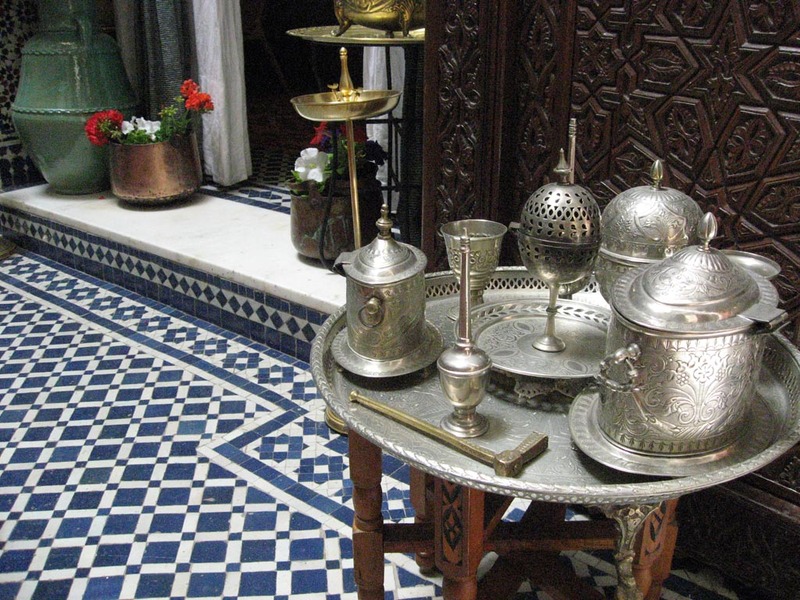 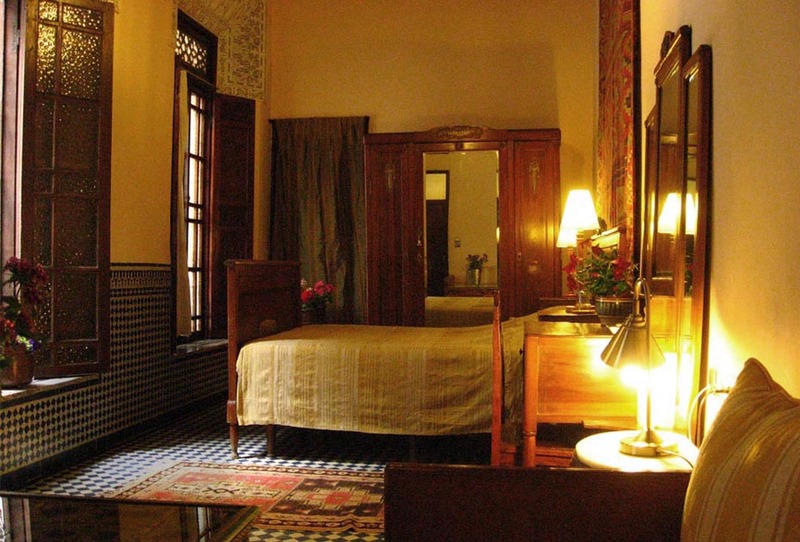 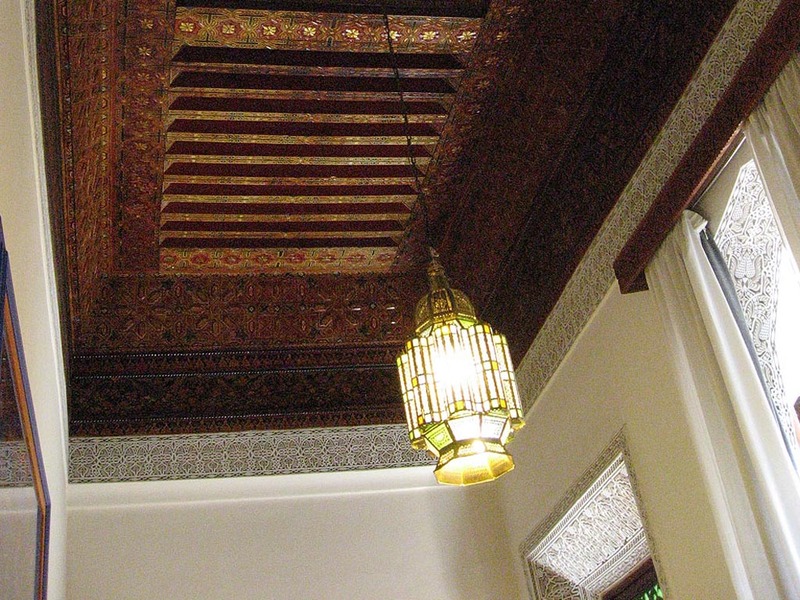 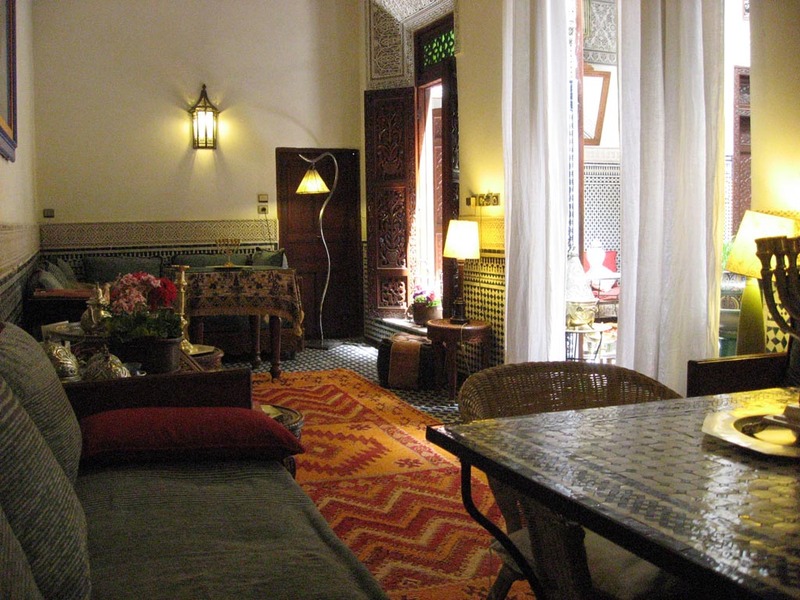 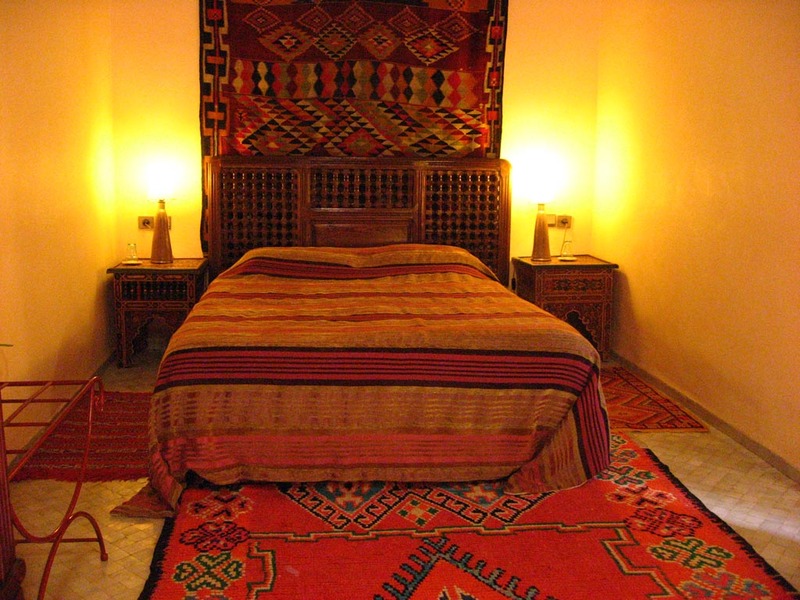 It has a painted ceiling and contains a double bed and a Moroccan-furnished salon. 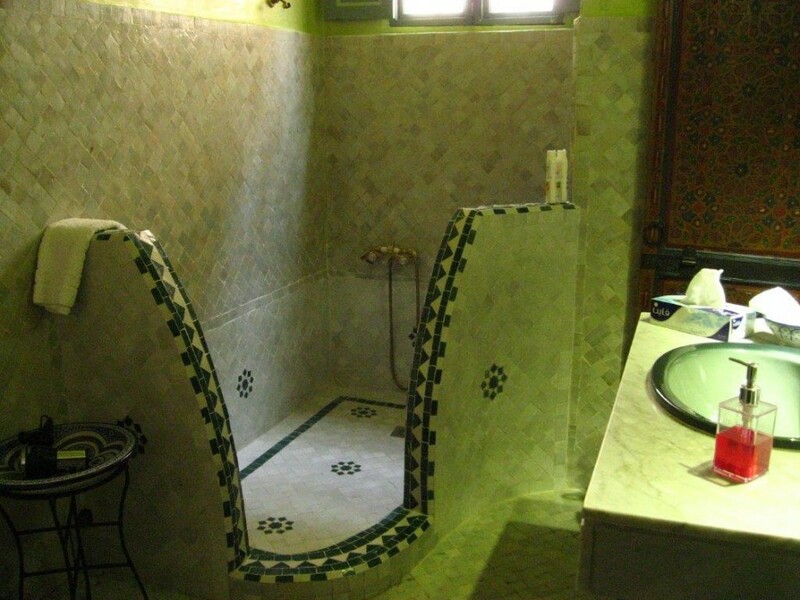 The bathroom has a separate toilet.